Earlier work from Professor Wilhelm focused on how to improve the detectors used in size exclusion chromatography (SEC) to characterise polymers. The traditional detection methods included UV, RI, viscosity and light scattering but these did not provide sufficient information on the eluting polymers. His first area of success employed the use of FT-IR. Published in Polymer Chemistry in 20151, the group reported on the development of a chemically sensitive online SEC detector based on FTIR spectroscopy. While being quite successful, it lacked the ability to quantify the relative concentration without external calibration. 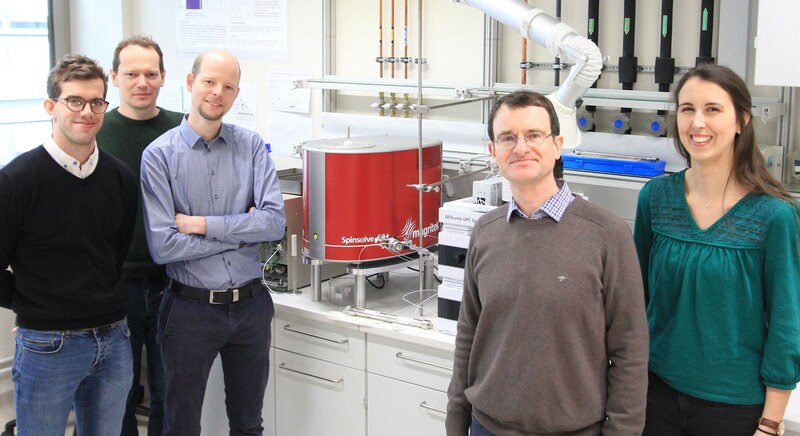 So, with a PhD background in solid state NMR, Professor Wilhelm sought to push the barriers further to provide users with an easy-to-use technique that delivered results at lower levels of concentration. The arrival of low cost, low maintenance benchtop NMR systems proved to be the basis for his work. This culminated in the use of a cryo-free Magritek 60MHz benchtop 1H-NMR spectrometer as a new and powerful detector for SEC. The NMR was required to be very responsive (measurements in less than two minutes) and to not require the use of deuterated solvents, now possible thanks to the use of pulse sequences that provide efficient solvent suppression. According to Professor Wilhelm, key to the success of the Magritek system was its excellent signal to noise ratio coupled to superior shim and line width performance. Recently published in Macromolecular Rapid Communications2, Wilhelm and his colleagues demonstrated excellent performance on standard polymers such as polystyrene and PMMA. The NMR spectra provided chemical assignment with absolute integration and may be fully quantitative. The results have demonstrated an impressive improvement in all key parameters thereby strongly increasing the usefulness of this method. 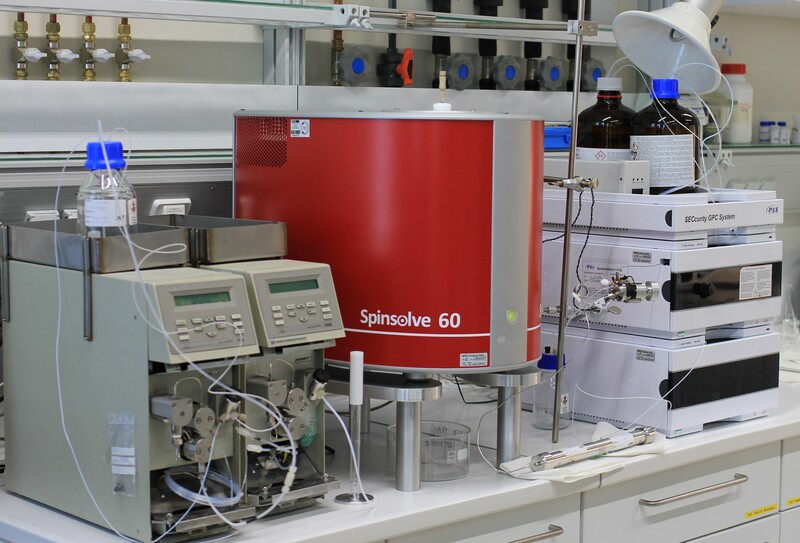 While going on to demonstrate the new online detection method on more real-world polymer mixes, Professor Wilhelm still sees more development opportunities for the NMR-SEC combination. He believes a further 10x improvement in signal to noise will be possible. He envisages making changes to the chromatography columns while on the NMR front, making use of the new 80MHz benchtop system with further improvements to pulse sequences and improving the design of the flow cell. In all, these will meet the needs of both the NMR spectroscopist and the polymer scientist, providing rapid and highly sensitive detection ability.